I haven't played them since I was young, but I can see why they'd be challenging to pick up now. Still, I'll argue they are worth the trouble of learning! I got super frustrated trying to learn them. I think I'm better off diving back into Fallout 3. They nail the tone of the Fallout universe perfectly, even though they're really old games at this point. That said, I can definitely sympathize with old engines getting in the way of gameplay by current standards. The original Fallouts were perfectly in tune with the CRPG zeitgeist of the time, with turn-based combat and insane difficulty swings. 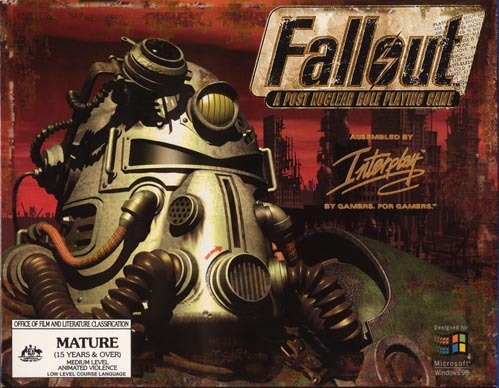 If you could imagine coming from Fallout & Fallout 2 (and Fallout Tactics), then perhaps you could better appreciate how mind-blowing Fallout 3 actually was in context. Turn-based isometric to 3D FPS and feeling correct, like it was always meant to be experienced that way? That was a huge design success. I do love seeing where our current gaming favorites come from. I'm glad I spent the time playing around in Fallout 1 and 2 even though I didn't get very far.